Many people have discussions about whether or not they should take supplements, when the more important questions is what does your body need. Before starting any therapy program: nutrition; exercise; drugs; surgery; even meditation, it is important to know why your body is the way it is and what is needed to change your capabilities to meet your goals. 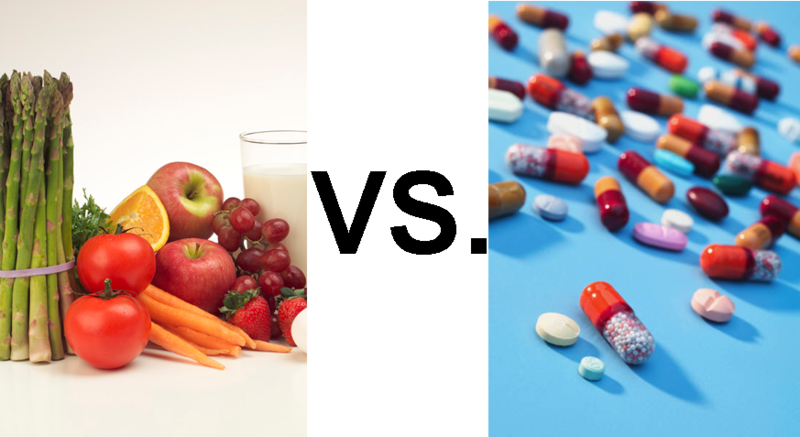 Regarding supplements vs. diet, there are approximately 42 essential nutrients. These are the chemicals currently known that you need to ingest on a regular basis in order to survive, grow, repair and reproduce. If you get the proper levels of these 42 chemical into your body, you’re capable of converting them into all the other chemicals you need. If you have abnormalities in your body’s levels of any of these 42 essential nutrients, you will develop some type of serious health problem. Lab testing and physical examination by someone trained in clinical nutrition are a couple of ways to answer the question of whether or not each of your 42 essential nutrients are high, low or normal. In some cases, symptoms or a specific physical sign can be used as a reliable indicator of an essential nutrient status. Much more commonly, symptoms and signs can have multiple causes. In these cases, objective, direct measurement of the individual essential nutrients through lab tests are the more reliable way to proceed. The next step after determining what essential nutrients your body needs, is to determine why any of the essential nutrients are abnormal. Are you not ingesting enough? Not digesting or absorbing the essential nutrients properly? Are you utilizing your essential nutrients too fast? Are you excreting them too fast? Let’s look at examples regarding a couple of these. You are not ingesting enough of an essential nutrient. Let’s say you just don’t like certain foods, and they just happen to be all the good sources of one of the essential nutrients. If that is the only cause of an essential nutrient deficiency that you have, supplements may make sense. As another example, what if your deficiency is the result of a digestion or absorption problem? In that cause, it might not matter what form you take the nutrient in (diet or pill). You just won’t get replenished until you correct the digestion issue or find some other way to work around the malabsorption problem. Once you have answered the questions of 1) what essential nutrient levels are abnormal and 2) why are they abnormal, the final step of 3) how to return your essential nutrients to normal levels is usually much easier to understand. At that point, the question of whether or not to get them through supplements or foods becomes a relatively minor factor. The ultimate goal is always to try and move from drugs to supplements to foods. Foods are the best source of nutrients in terms of quality. They have properties that make them superior to manufactured drugs and supplements such as co-factors, enzyme activity, and other undiscovered nutrients. The decision whether to use foods or supplements requires a finer level of detail than a blanket binary choice. Matching your source of nutrients with your current health status is an important factor in this decision. If diet is adequate in returning your essential nutrient status back to normal in the time frame desired, then diet may be the preferred way to proceed. If the progress of returning your essential nutrient status back to normal through diet alone is too slow, then modifications in the treatment approach are needed. Supplements are one of the alternatives to consider when essential nutrient status normalization needs to happen faster. The key concept in the previous paragraph is “returning your essential nutrient status back to normal”. This implies rechecking your levels with repeat lab tests during the treatment phase. Symptoms and signs can be helpful to monitor progress with replenishing some deficiencies in some situations, but not always. In order to prevent yourself from trying to replenish an essential nutrient for too short or too long of a time period (and the potential for overdosing), get regular retests to monitor progress. The overall point I would like to make with this article is, before having a discussion about what form should be used to replenish any nutritional deficiencies (diet vs. supplements), it is critically important to strive to understand what nutritional deficiencies are present and why they are there. Diagnose first, then treat. Previous Previous post: You go to the gym, exercise or do yoga, and now your joint clicks….what next? Next Next post: NEW! Balanced Muscle Strength Testing course available worldwide!